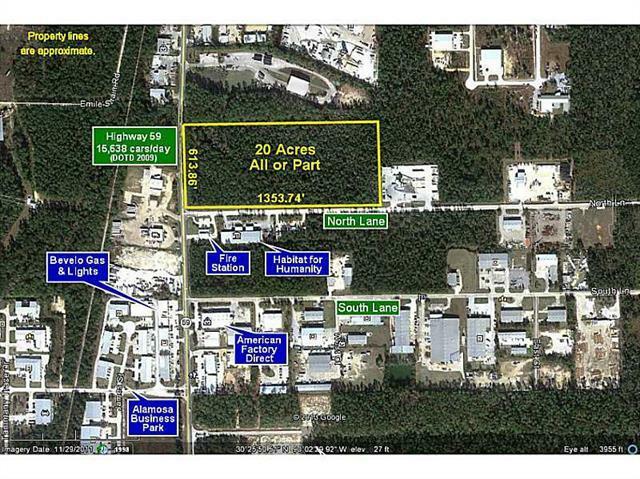 Excellent industrial site with over 600 feet of frontage on Highway 59 with an average traffic count of 15,638 cars per day and 1,353 feet fronting North Lane. Located approximately 1 mile north of I-12 and across the street from a Mandeville Fire Station. Front 6 acres can be sub-divided. Additional land available adjacent to property. Listing provided courtesy of Skip W Scoggin of Mauti Schroder Scoggin Real Estate. © 2019 Gulf South Real Estate Information Network. All rights reserved. IDX information is provided exclusively for consumers' personal, non-commercial use and may not be used for any purpose other than to identify prospective properties consumers may be interested in purchasing. Information is deemed reliable but is not guaranteed accurate by the MLS or Amanda Miller Realty LLC. Data last updated: 2019-04-23T19:34:22.52.